A conversation between David Moré, Caroline Picard and Abigail Satinsky. AS: So let’s start by talking about when you began making instruments. DM: Probably six or seven years ago? AS: You were drawing before that right? DM: Yeah. I think I kind of I came to a realization that “I’m drawing or painting just so I can hang out in my studio and listen to records. That’s real dumb.” I’ve also had this kind of uncomfortable relationship, as far as being a cultural producer, I would go to more shows and buy more records than I did books or go to art galleries. And I actually had an instructor who brought that up and said something like, “You kids buy so many CDs, when was the last time you bought a really good book about artists?” And I think it’s a pretty common thing. But yeah, I’m not a musician. Even though it seems like I should maybe try to be, it seems like the format of being in a band and having this relationship where there’s an audience and you’re presenting your music and asking for peoples’ time is not a natural thing for me. And I’ve played instruments before, so I don’t think it’s a patience issue of whether I should just sit down and learn to play the cello. CP: Do you think it’s weird to think of these homemade instruments as being your medium? It seems like there is a difference between an artist that works with painting and pens and charcoal versus a musician. But then it also seems like you’re using these acoustic tools as a traditional artist would pens or charcoal. DM: Yeah that’s nice because I occupy a difficult in-between place. You can’t really play a song on a spring and a piece of wood, but you can produce this other kind of thing and that’s what led to this project [sound portraits]. Thinking “Hey I should find a context for these things I do.” You can’t do like a Beethoven cover record on styrofoam. CP: Can you talk about how you found or came upon this context of making sound portraits in the gallery? AS: How did you think it worked at Gallery 400? AS: That’s interesting to me that you say the people at the fair would be the initiated and the people that would walk into the gallery aren’t. Because even though we are testing out ways to be something other than a totally traditional gallery space, for most people this is definitely a gallery. There are a bunch of objects on display that they’re going to look at and judge. DM: …and so it’s only a temporary gallery and you’re going to move in January..
DM: I also kind of like and hate when people ask what I’m doing. I don’t really know but I’m going to try it first and then try to figure out. That process can be pretty infuriating, but it’s also nice because ultimately I might learn something. It feels like an actual experiment. AS: Well it’s an experiment but there’s also parameters. The participants know where to sit, how long it’s going to take, etc. Which actually, I feel, is really helpful in a lot of ways in terms of getting people to feel comfortable if they know what the parameters of the space they’re occupying because these instruments are such curiosities too. AS: Yeah when I see people come in and sit in the chair, they feel special. It’s even true when I was sitting there, I thought, this is just for me. And it reminds me also of another portrait experience. When I was ten, I went to New Orleans with my family. I got my portrait drawn in the touristy part in town. I remember it didn’t look anything like me and I was so disappointed because I felt like I had just sat there for so long! Somehow I thought the portrait would explain something about me, like it would be the window into my soul or something. And then actually getting it and thinking, “Oh you didn’t get me at all!” That is so sad! I don’t even know what happened to the drawing itself, but I remember vividly the expectation of the portrait to really be me and then realizing that that fleeting encounter failed miserably. DM: Yeah I have never sat for a portrait like that but I imagine that it would be like the expectation of a kind of truth about yourself which is, I mean, that’s nuts! But maybe it’s a mistake that I’ve entered into making people’s portraits using audio. But I’ve been working on it and actually trying to give it a shot and find some parameters and maybe there’s some way you can gauge like, wow you’ve actually got me! Some people sitting have said “Oh wow that’s actually pretty accurate! You were right on there.” And they’re joking a little bit but there is something there. The idea of someone sitting there making abstract noises and then someone else relating those to their life is actually a pretty wild idea. CP: Can you talk more about your selection of sounds? DM: One of my concerns is drawing attention to everyday sounds. I think that is a common theme that there’s all these interesting sounds going on around us and if we start paying attention to them, it can be a really fulfilling experience. I can also make the analogy of when I was drawing a still life or an object or a friend, it would really change your relationship to the person or to the object just because you’re so intensely looking at your subject. You can kind of get the same thing just by walking around with a tape recorder and anytime you click it on, you’re paying attention to everything that’s happening around you. I had a really sweet experience a couple of years ago. I was walking around in Havana with this guy, and during a power outage, I said I wanted to make a recording of a generator. When I switched the recorder on he was quiet and when I was done he said, “That was so amazing, as soon as you turned that thing on I just noticed all the amazing street sounds and generative sounds just from taking this walk in this darkened city.” Focusing on surrounding sounds can be a really rich experience. I want there to be a lot of humor involved too. Yesterday for one of the portraits I took a cymbal and I was bowing it in the bathroom. It was really really loud but at least there was this spatial difference in the sound. Also, with a lot of the work I’m interested in doing, sound doesn’t have to come from two speakers, even though that’s the way a lot of people perceive it. The only thing I guess I don’t know how it’s going to end. There is going to be a formal gallery opening and I am collecting all the portraits. They are definitely a gift, they are a gift for the person whose portrait I took. But I am also recording them all digitally and I’m going to have an archive. So on a personal level a lot of the project is getting composition ideas because you have to improvise on the spot to see what these people sound like, right? The project is kind of like a big exercise for me. CP: Does that mean that over the course of a day before you come into the studio, you think about different sort of compositional progressions? DM: Well, I think the project potentially builds a more efficient process to describe what someone sounds like which sounds like a completely ridiculous idea. But it is kind of good to make your brain do this thing that doesn’t really make any sense. Just to see if it comes up with anything else, a solution to this ridiculous problem. read more about this by going here. August 21st – September 10th. Saturday: 10 – 7 p.m. The Green Lantern Gallery is pleased to present Normal Bias, a minor business venture by artist David Moré. From August 21st – September 11, Moré will be setting up shop in the gallery space and welcoming passers-by to participate in his free service: a portrait studio rendering the customers’ likeness in sound. The finished portraits will be documented on audiocassette, or, if requested, digitally. To take part, visitors are invited to visit the space during the hours of operation (listed below). At that time, Moré will be working and you can sit for a portrait. The accompanying exhibition from September 11th through 18th will include sound portraits recorded over the month as well as a site-specific installation that utilizes the physical, architectural space as an instrument for an experimental, auditory composition. Utilizing a variety of idiosyncratic and unconventional instruments (some found objects, some built by Moré), the resulting portraits are responsive in form and speculative in nature. 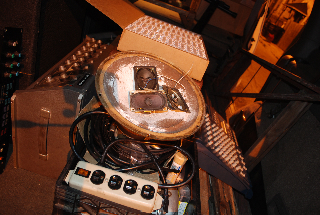 This unique service, based on a one-to-one encounter between Moré and his sitter, stems from Moré’s interest in inviting audiences directly into his process of making sounds and creating accessible and playful contexts to experience the results. Opening the doors wide open and putting his way of working on display, Moré’s work inaugurates the Green Lantern Gallery’s new exhibition program. Normal Bias is the first foray in which the gallery space is used for artists’ research, highlighting the process through which artists’ arrive at their creative ideas, rather than the product of their inquiry. The Green Lantern Gallery’s thematic exhibitions and artist projects are thought experiments, models for critical and social engagement, poetic ruminations, and interrogations of the creative process from all angles. David Moré grew up outside Chicago; he has spent the past fourteen years moving between Wisconsin, Oregon, Minnesota, Maryland, and Missouri; and currently is based in Chicago. 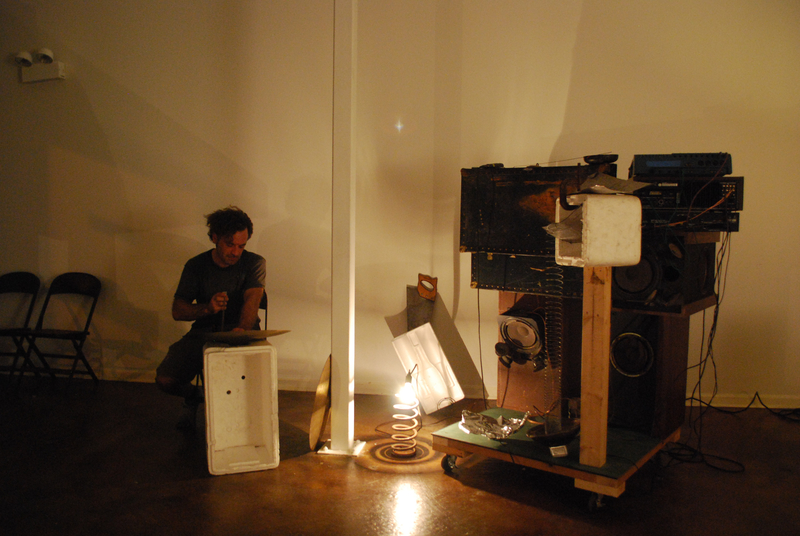 In 2004 he was quite honored to play his self-built instruments at the High Zero Festival of Improvised and Experimental Music (Baltimore), performing with such luminaries as Daniel Higgs, Joe McPhee, and Le Quan Ninh. He has remained involved with the High Zero Festival as Stage Manager ever since. His artworks, performances and sound installations have been presented through Harold Arts, Gallery 400 at UIC, and Vega Estates in Chicago. The Green Lantern Gallery is a venue dedicated to showcasing emerging and mid career artists of all media in conjunction with the activities of Green Lantern Press and Lantern Projects. Each season, the Green Lantern Gallery develops thematic exhibitions and artist projects, supplemented by a range of public programming and publications from the Green Lantern Press. Committed to forming alternative and sustainable models for the distribution and presentation of noncommercial contemporary art, the nonprofit Gallery is partnered with the for-profit Bookstore, Cafe and Performance Space in order to explore different possibilities to support artists and community. This summer, while running a particularly informal project space–proper exhibits will open up this fall–we do have an artist in residence. 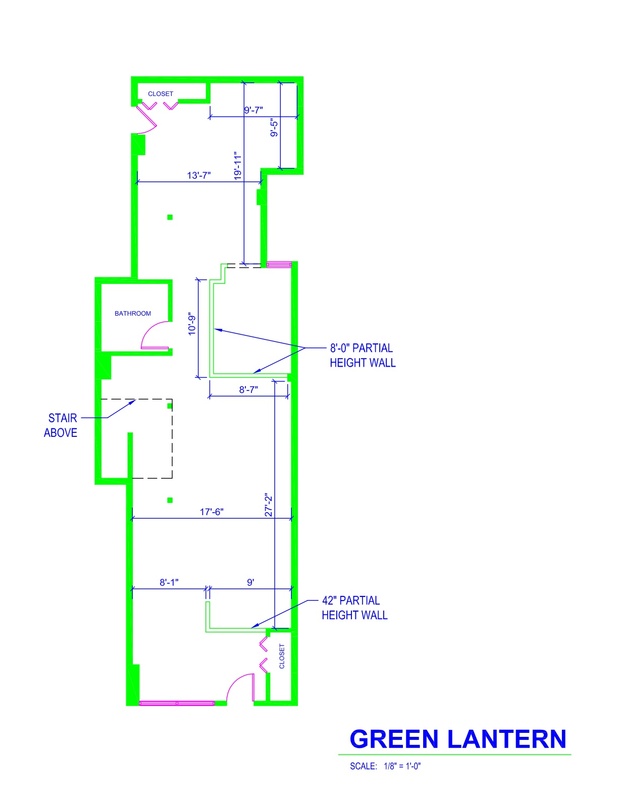 His will be the first show come September and I thought I’d include a post with the description of his project, along with the fancy-pants floor plan! 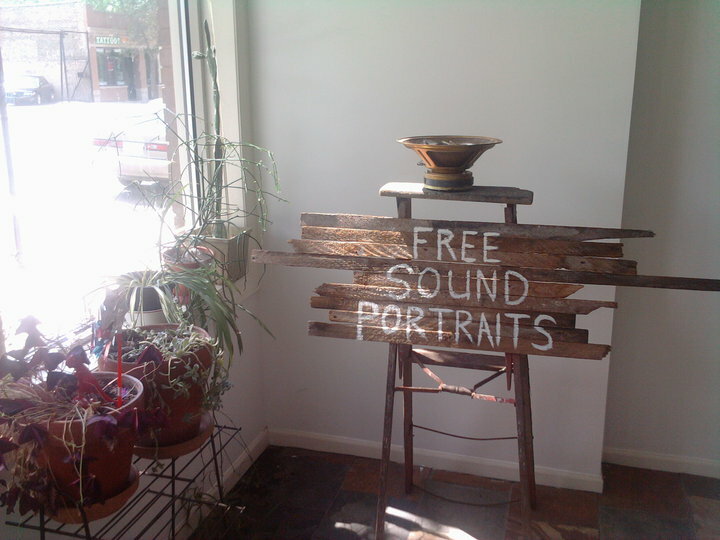 For July and August, David Moré will be running a minor business, a portrait studio, out of the Green Lantern Gallery. This portrait studio specializes in rendering its customers’ likeness in sound. These portraits will be creating using a variety of objects, some found, some built. The finished portraits will be documented on audiocassette, or digitally if requested. To take part in this free service, visitors are invited to visit the space during the hours of operation listed below when David Moré will be working and sit for their portrait. The accompanying exhibition from September 11 through 17 will include sound portraits recorded over the month and a site-specific installation that utilizes the space itself as an instrument for an experimental composition. 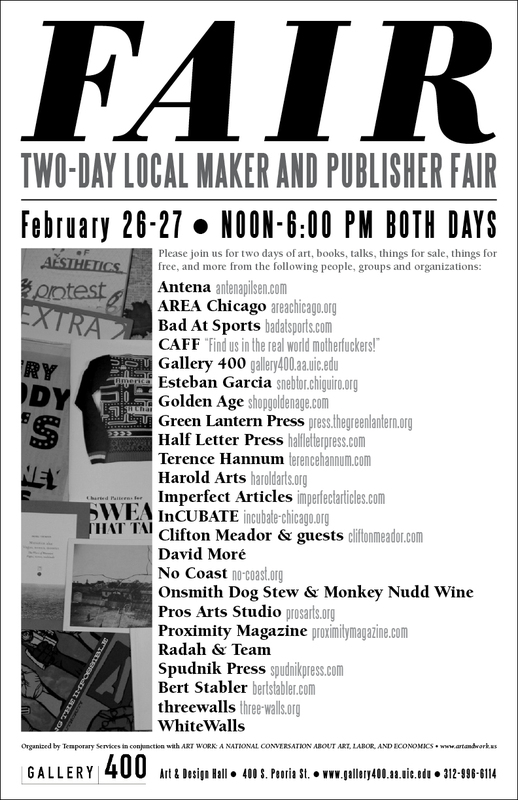 Saturday: 9 – 6 p.m.